(Long Beach, California) – It’s time for the last Long Beach Coin, Currency, Stamp and Sports Collectible Expo (www.LongBeachExpo.com) of the year, and as usual, the show is filled with fun for everyone. The three-day event will feature coin giveaways, the latest offerings and unveiling of a new 5 ounce silver coin from the United States Mint, and the display of two award-winning world coin sets. Held September 7-9, 2017, the Long Beach Expo showcases collectibles from over 500 dealers, featuring everything from coins to cards. The U.S. Mint will be in attendance, displaying and selling their latest offerings, including the Ellis Island 2017 5 Ounce Silver Coin. Image via www.usmint.gov. "We're thrilled to close out our Expo year with offerings from the U.S. Mint, which will be displaying and selling beautiful commemoratives, proof sets and more, including their brand-new 5 ounce coin, the Ellis Island 2017 5 Ounce Silver Coin, and the display of beautiful world coin sets brought to you by the PCGS Set Registry is sure to attract crowds. As always, we will host our coin giveaway, where a lucky attendee is chosen each day to win a gold coin, and PCGS will be offering on-site grading and exclusive show offers," said Long Beach Expo President Cassi East. Any attendee can enter to win a gold coin simply by registering online. Winners will be announced each day of the show at 1 p.m. The official auctioneer of the Long Beach Expo, Heritage Auctions, will host four Signature Auctions, featuring U.S. Coins, World Coins, U.S. Currency and World Currency, from Wednesday, September 6 through Saturday, September 9. Attendees are encouraged to visit the Heritage Lot Viewing room (104-A), located upstairs in the lobby area, to see the actual coin and currency items that will be in the auctions. The Mint returns to the Long Beach Expo (booth #1535) after showcasing their groundbreaking American Liberty 225th Anniversary gold medal earlier this year, and they will be displaying the 225th Anniversary Four-Medal set, featuring four medals from four different mints with four different finishes. The medal set has reverse proof, proof, an enhanced uncirculated and uncirculated medal. 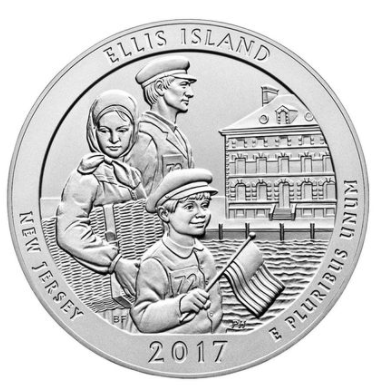 The Mint is also launching their latest coin, the Ellis Island 2017 5 Ounce Silver Coin, which is available for purchase starting September 7, the first day of the show. Visitors can purchase or simply view the Mint’s latest offerings. 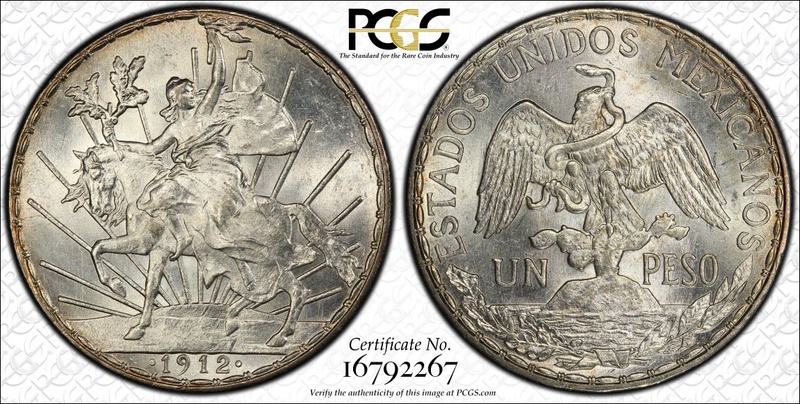 Also on the coin side, PCGS (www.PCGS.com) will be in attendance (booth #807) and offering on-site grading, as well as accepting submissions of all service levels. Additionally, the brand-new coin price magazine, Rare Coin Market Report, will be distributed free of charge by PCGS at booth #1. 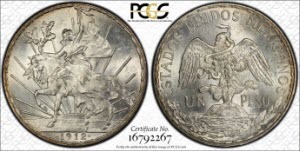 The bi-monthly magazine features up-to-date coin price info on PCGS-graded coins and fun, educational articles written by numismatic experts, like PCGS CoinFacts President Ron Guth. "The Long Beach Expo presents a great opportunity to research a coin in the RCMR, visit booths like the U.S. Mint, purchase a coin and then return to the PCGS booth for grading. You can literally experience, all in one venue, the pivotal steps of coin collecting," said PCGS President Don Willis. Two beautiful world coin sets will be on display at the Set Registry booth (#1148): the McVey Canadian dollar date set and the McVey Mexico Silver Peso date set. The 28-coin McVey Canadian dollar date set, circulation strikes, spans from 1935 to 1967 and features the portraits of three British monarchs: George V, George VI and Elizabeth II. While, the award-winning McVey Mexico Silver Peso set features 41 silver pesos with two reverse designs. "We always love to showcase world coins when the opportunity arises. Both of these sets are quite the spectacle, and we encourage show attendees to visit our booth and see these sets in person," said PCGS Set Registry Director BJ Searls. PCGS Co-Founder David Hall will be conducting "Meet the Expert" sessions, which is an opportunity for the public to bring their coins to the show and have them examined by a numismatist with decades of experience. Sessions take place from 1 p.m. to 2 p.m. on Thursday, September 7, and Friday, September 8, and from 12 p.m. to 1 p.m. on Saturday, September 9. A staple of the Long Beach Expo returns with the Kids Treasure Hunt. Children visiting the Expo can earn free coins by participating in the fun, which will take place on Saturday, September 9, from 11 a.m. to 2 p.m. Kids can also participate in numismatic youth activities at booth #861, including America The Beautiful Quarter Trivia and a memory game involving world currency. Children have the opportunity to win quarters and currency during the fun. The Long Beach Coin, Currency, Stamp and Sports Collectible Expo takes place Thursday, September 7, through Saturday, September 9. Show hours are 10 a.m. to 7 p.m. from Thursday to Friday, and 10 a.m. to 5 p.m. on Saturday. The Long Beach Expo will take place at the Long Beach Convention Center, located at 100 South Pine Ave, Long Beach, CA. Admission is $8 for adults, $4 for seniors and children aged 8 to 16; however, free admission coupons are available in advance online. Discounted tickets are available at www.LongBeachExpo.com. Simply select ‘Get Passes,’ and enter the promo code: EXPOPR.